Dermatologists have not traditionally played a systematic role in recommending and administering immunizations. 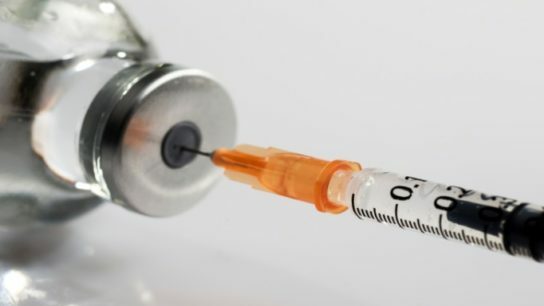 The 2007 and 2008 shingles and varicella vaccination recommendations may have contributed to the declining herpes zoster hospitalization rates in some groups. 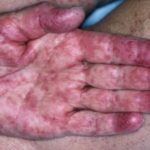 At baseline, more symptoms associated with Lyme borreliosis were reported by those with multiple erythema migrans than with solitary erythema migrans. 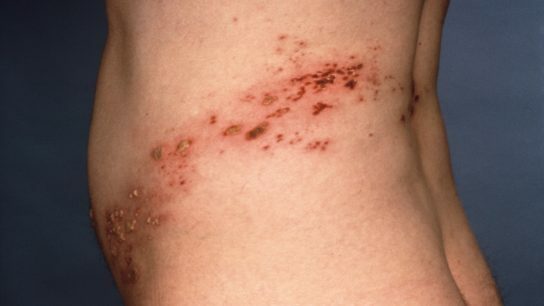 Investigators examined the incidence of herpes zoster in patients with hidradenitis suppurativa who were and were not exposed to immunomodulation. Injection drug users are more than 16-fold more likely to develop invasive methicillin-resistant Staphylococcus aureus infections. Microneedling combined with bleomycin was associated with higher clearance rates and was less painful than the use of intralesional bleomycin injections.